In November 2017, Warner Bros’ will be releasing the next movie in its DC Comics live action movie franchise, Justice League! While The Blot is not looking forward to the film at all, I am excited about all the Justice League toys we’ll be getting over the next year. To commemorate the film’s release, Funko will be producing this awesome Justice League Movie Pop! Series featuring Batman, Superman, Wonder Woman, Aquaman, The Flash and Cyborg all in their costumes from the upcoming film. 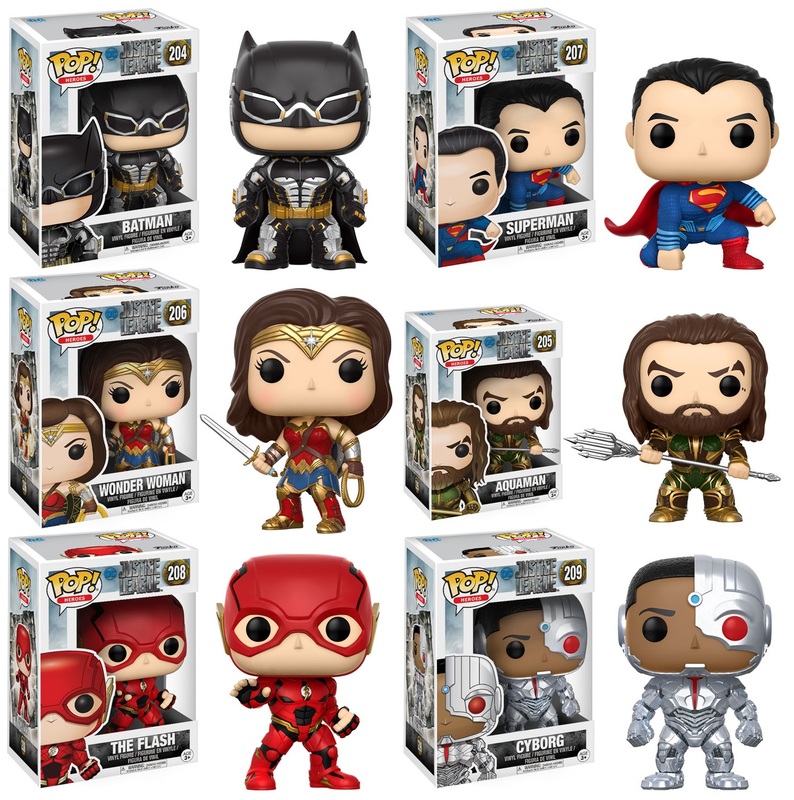 Each Justice League Movie Pop! vinyl figure stand 3.75” tall, features one point of articulation and come packaged in a full color displayable window box. These DC Comics figures can be pre-ordered now at Entertainment Earth for $10.99 each here.